AWT contains large number of classes and methods that allows you to create and manage graphical user interface ( GUI ) applications, such as windows, buttons, scroll bars,etc. The AWT was designed to provide a common set of tools for GUI design that could work on a variety of platforms. The tools provided by the AWT are implemented using each platform's native GUI toolkit, hence preserving the look and feel of each platform. This is an advantage of using AWT.But the disadvantage of such an approach is that GUI designed on one platform may look different when displayed on another platform. 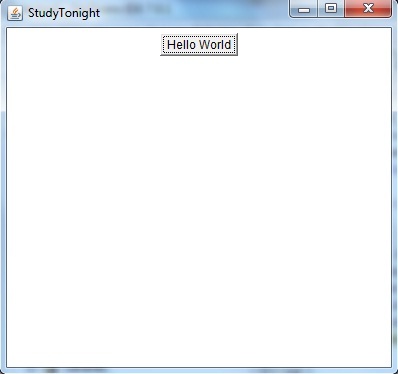 AWT is the foundation upon which Swing is made i.e Swing is a set of GUI interfaces that extends the AWT. 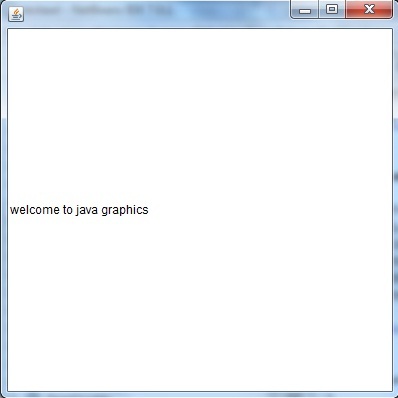 But now a days AWT is merely used because most GUI Java programs are implemented using Swing because of its rich implementation of GUI controls and light-weighted nature. Component class is at the top of AWT hierarchy. Component is an abstract class that encapsulates all the attributes of visual component. A component object is responsible for remembering the current foreground and background colors and the currently selected text font. Container is a component in AWT that contains another component like button, text field, tables etc. Container is a subclass of component class. Container class keeps track of components that are added to another component. 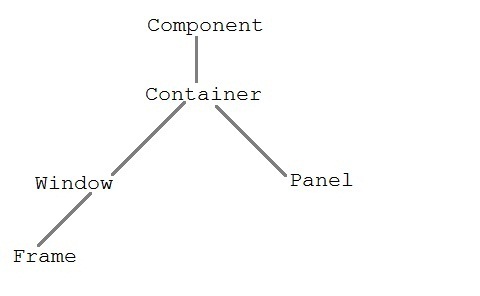 Panel class is a concrete subclass of Container. Panel does not contain title bar, menu bar or border. It is container that is used for holding components. Window class creates a top level window. Window does not have borders and menubar. Frame fm=new Frame();         //Creating a frame. fm.add(lb);		              //adding label to the frame. fm.setSize(300, 300);               //setting frame size. fm.setVisible(true);                //set frame visibilty true. add(btn); 		//adding a new Button. setLayout(new FlowLayout());	 //set default layout for frame. setVisible(true);           //set frame visibilty true. Testawt ta = new Testawt();   //creating a frame.